By the time this map was drawn the ancient village of Stantonbury had almost disappeared, but there was still a mansion there which was important enough to catch the cartographer’s attention. Three buildings are noted on the manor, the big house, the church and buildings at Stanton High, looking rather isolated. The story of this mansion is interesting, although details a few and the history of any sort of manor house is extremely sketchy. At Domesday the manor was in the hands of the baron Miles Crispin and he had probably granted it to one of his knights, a man called Ralph. We assume that he was the progenitor of the family that came to be lords of the manor for the next three centuries, although we cannot support that assumption with documentary evidence. We have to wait until 1202 for that to emerge when the manor was definitely passed to Simon de Stanton, or Simon Barre, as he was otherwise known. The manor was henceforth known as Stanton Barre, later of course becoming Stantonbury. It passed down through the family until the male line died out in the late 14th century, when it passed to William Vaux. As the resident lords, the Barre family and later the Vaux family would have had a hall or manor house. This may have started as a simple hall and grown through additions, or the early medieval dwelling may have been replaced by a newer building. Unfortunately we cannot know from the evidence we have available to us. That there was a manor house is certain. A document of 1326 (Inquisitions post mortem) informs us that there was a capital messuage, a garden, a dovecote and a broken down mill. Another document dated 1565 lists two messuages, ten torts, a water mill and four gardens. A fine of 1617 records two messuages, six torts, two watermills, two dove houses, three gardens and three orchards. A year later there is specific mention of a manor house when the Temple estate was divided “all that the manor house of Stantonberry with the dove houses barnes stables backsides courts orchards and gardens heretofore belonging, and the three watermylles under one roof.” From these at least we can infer the presence of a manor house, possibly 15th century in origin. In the 16th century the manor was sold several times, beginning with Thomas Lord Vaux in 1535. From the number of sales one might infer that nothing was done to improve the manor or the property. That it produced income from sheep farming was probably enough. Eventually the manor was sold to Sir Peter Wittewronge who was interested enough to do something. He took possession in 1653. Wittewrnge came from Flemish stock and he had money and influence. 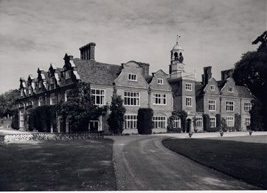 His principal seat was at Rothampstead in Hertfordshire, now a centre for agricultural research. He settled the manor of Stantonbury on his eldest son John and after he was married in 1664 work began on a new mansion. Building work began in 1664 and was largely complete four years later. It was demolished in 1791 and there are no drawings from any time in that period to suggest to us what it might have looked like. 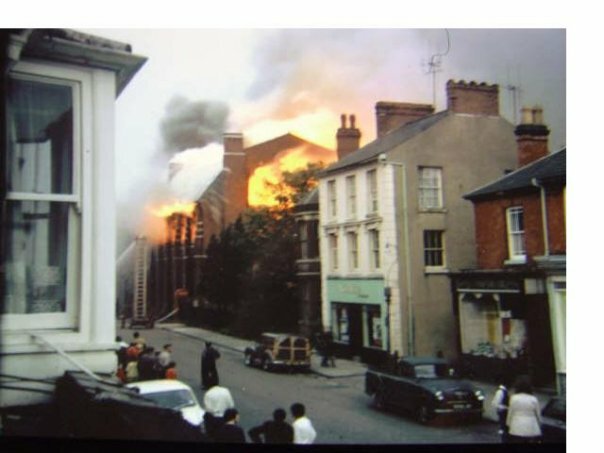 We can only infer from the building accounts and from other sources what it might have looked like. The building was of brick construction with stone dressings. There are references to the greate building and the return building which begins to suggest an “L” shaped structure. There are further references to the greate hall and the old hall, which would lead us to conclude that the old manor house was incorporated into the new building. Or, there may have been a central building with two wings, because there are further references to a new leser hall and the folkes’ (servants) hall. Certainly a large hall for the main building with two wings at either end would be conventional for the time and we can speculate that this may have been the structure using the old manor house as one of the wings. The accounts reveal that the new mansion was not an inexpensive structure. We can perhaps guess at its appearances by taking a look at Rothamstead, which, with its Duch gables, may have been the parent for inspiration. The first rather crude drawing was made in 1624. The photograph below of the much expanded and enlarged Rothamstead manor illustrates the character of the architecture which has maintained its central features over the centuries. Was the Stantonbury house similar? If so it would have been one of the more remarkable survivors in the Wolverton area. Sadly its history was very short. John Wittewronge succeeded to his father’s titles in 1693. He kept Stantonbury and his younger brother James inherited Rothamstead. Sir John outlived his father by only four years and in 1697 the estate and titles passed to yet another Sir John Wittewronge. He appears to have led an active life and was colonel of a regiment during the wars in Flanders. He served as member of Parliament for Aylesbury and subsequently Wycombe until his death in 1722. The fourth baronet, unsurprisingly also named John, got himself into difficulty in 1721 (a year before his father’s death) by murdering a man called Joseph Griffith at the Saracen’s Head in Newport Pagnell. The Sir John took the expedient measure of fleeing the country and returning a few years later when the hue and cry had died down. Around 1727 he sold the manor to Sarah, Duchess of Marlborough and the Wittewronges receded from Stantonbury’s history. The fourth baronet’s ending was not a happy one. He found himself in the Fleet prison in 1743 for his debts and in the course of a drunken brawl received some fatal wounds. In that same year the mansion at Stantonbury was damaged by fire, the extent of which is not known. The Duchess of Marlborough died the following year and bequeathed this manor, along with many other huge estates, to her grandson John Spencer. He became the first Earl Spencer and founded the family which continues to hold its principal seat in Althorp, Northamptonshire. Earl Spencer never had any occasion to live at Stantonbury but the house may have been used as a residence for stewards of the estate. Certainly this must be the case for Thomas Harrison who built Wolverton House in the 1780s. 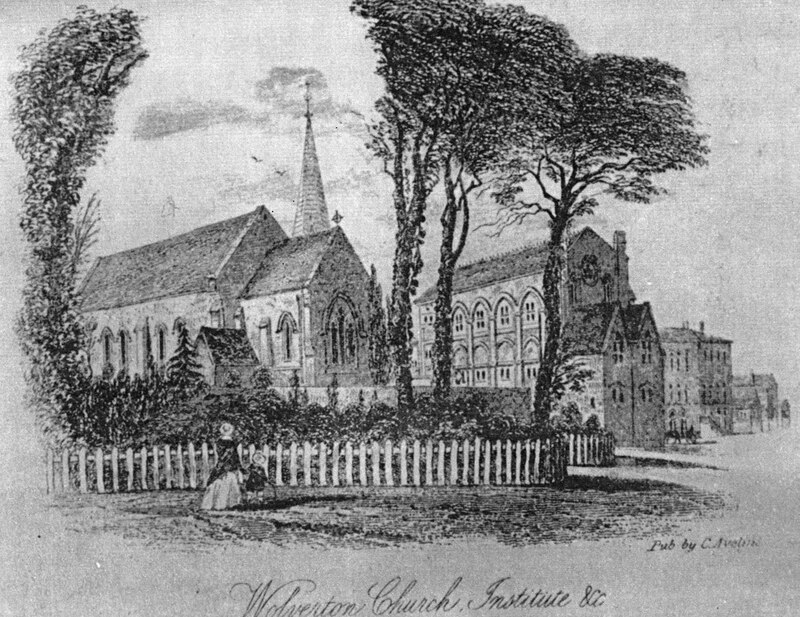 Harrison’s older children were baptised at Stantonbury church in the late 1750 and 1760s, so they were evidently living in the parish and given the almost complete absence of houses for a middle class family of that status one can only assume that they were living in the Wittewronge mansion. Thomas Harrison was the land agent for Earl Spencer and he performed a similar role for the Earl of Uxbridge. In 1773 he took on this same task for the Radcliffe Trust and later established his “seat” at Wolverton. Thomas Harrison, as I have described elsewhere. was an 18th century entrepreneurial spirit who appears to have made a lot of money. I would speculate that in the 1770s the 100 year old house was in a state of disrepair. The fire of 1743 must have left residual damage and probably the cost of maintenance was no longer worth it. It is quite possible that the Harrisons were the last residents and a decade later, in 1791, the only practical course for Earl Spencer was to demolish the building. I have posted several times about the old church at Stanton Low. It is not strictly speaking a Wolverton topic, but it has had long Wolverton associations and many people have asked me about the village, so why not. The manor itself emerged as a distinct unit in the 9th or 10th century, sandwiched between the manors of Bradwell and Great Linford. It stretches from the river Ouse in the north to the higher ground above Bradell in the south. It covers 806 acres and is roughly one third of the size of the Wolverton Manor. The Domesday survey of 1086 provides us with a snapshot. There were 7 villeins, perhaps cultivating 30 acres each, and 3 borders, who had less land and less status. There was also a mill. From the number of recorded ploughs, economic historians have estimated that about half the manor was under cultivation, approximately 400 acres. About 200 acres of this was reserved for the lord’s demesne. These figures may also tell us that the population living on the manor was about 40 and it seemed that it never at any time after got to be much more than that. For comparison purposes, Haversham, across the river, and a population that approximately doubled that of Stanton in 1066. The manor was known as Stanton. By 1200, when the ruling family had adopted the surname of Barre, the manor was called Stanton Barre, Stanton Barry and eventually Stantonbury. The Barry family became quite prominent in the area and in time acquired most of the Bradwell manor. 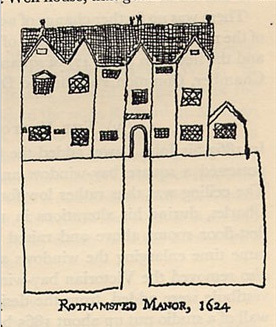 At the end of the 15th century the lord of the manor, Sir Nicholas Vaux, pursued an aggressive policy of enclosing his estates in Buckinghamshire and Northamptonshire so as to convert the land to pasture. This meant that he could make more profit out of the land by raising sheep than through arable farming. In consequence as many as forty people lost their homes and livelihood. We are told this through the findings of a commission set up by Cardinal Thomas Wolsey. Vaux was prosecuted but appears to have escaped fine or punishment and the end result for the unfortunate peasants of Stantonbury was that they lost their livelihood and Sir Nicholas Vaux achieved his objective. Some of you may observe that nothing changes. Thereafter the manor had a very low population. A document of 1617-18 records two messuages, six tofts, two watermills, two dove houses 3 gardens and three orchards. A messuage would describe some land with a dwelling house and various outbuildings. If there were two of them, one would certainly be the manor house and the other, either the rectory or a farm house. We will not know for certain but if the land was given over to sheep farming it is less likely that there would be a farm house such as the ones later appearing on the Newport Road and at Stanton High. It may have been a rectory. The torts were single room peasant dwellings, each supporting a family. Although two watermills are described, archaeologists believe that there was only one miller operating the two mills. It was a very small village and it was to grow even smaller. By the time of the 1841 census there were only two cottages left at Stanton Low, the big house and rectory had disappeared in the previous century and there were two farmhouses. 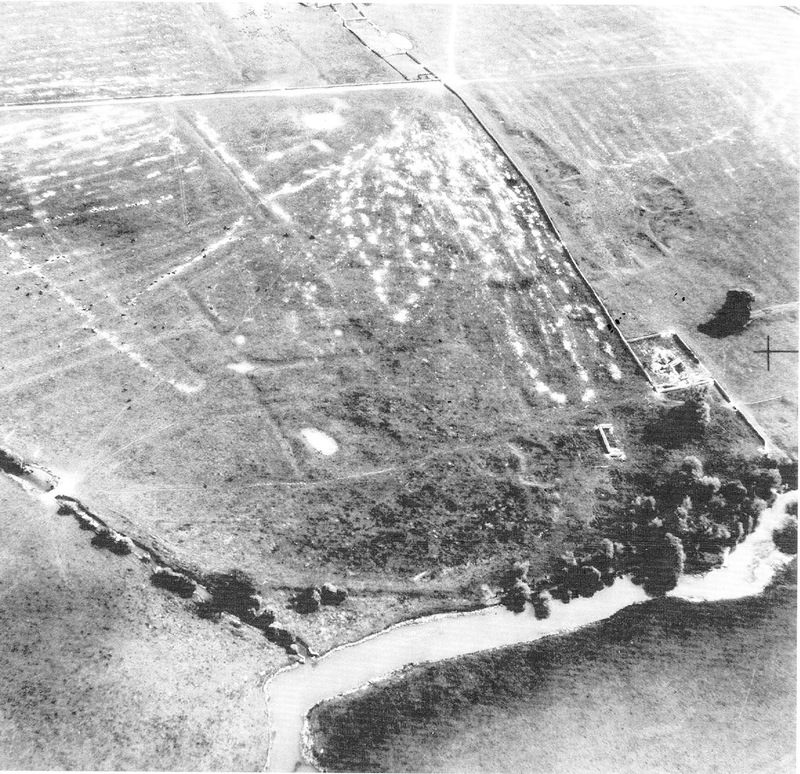 This photograph was taken before the further encroachment of the gravel pits so you can see in the top left hand corner the evidence of ridge and furrow faming. These would have been the villagers strips of land which they farmed for sustenance. The village dwellings were closer to the church and the manor house and mansion to the south. 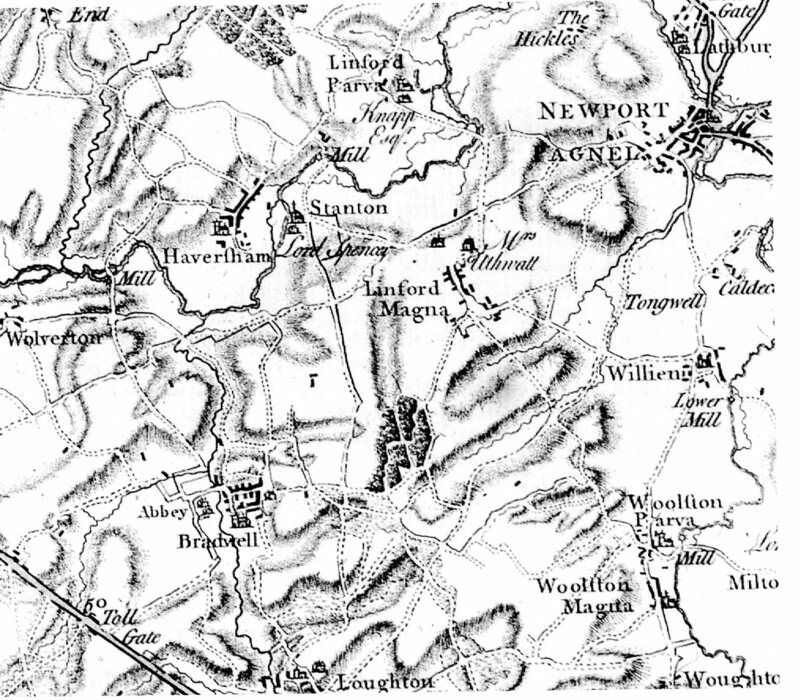 The development of New Bradwell in the 1850s transformed Stantonbury in much the same way that New Wolverton overshadowed “Old” Wolverton and for almost a century there was no development. The Church gradually fell into disuse and in time became a complete ruin. 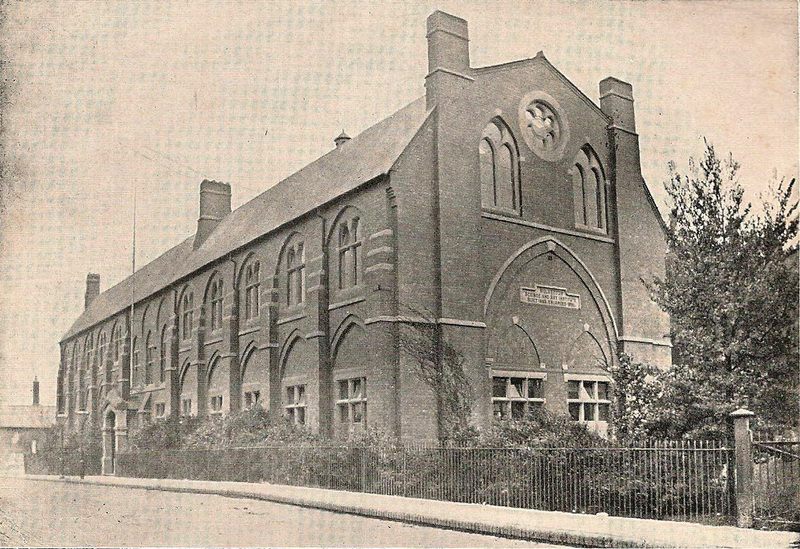 There were some encroachments on the manor in the 19th century with the construction of Harwood Street and North Street on the east side of the Bradwell Road and in the 20th century the Bradville estate at Stanton High brought the “garden city” concept of housing development to the area. 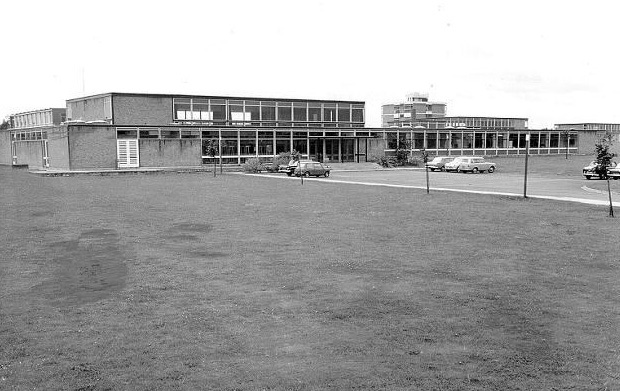 Post Milton keynes the old manor is scarcely recognisable. The church ruin is the only remaining identifiable part of the ancient village. This map pre-dates the canal and the railway. In this context Stantonbury, although small, was not entirely insignificant. The established villages of Great Linford, Haversham and Bradwell had the sie and shape they had 200 years later. Stantonbury still had the big house which I will describe in the next post.